The weather was active on Father’s Day. While temperatures soared throughout the afternoon hours, the sky turned vibrant as a line of strong and severe thunderstorms moved through between 6 pm and 8 pm. There were some power outages, but most of the region had power restored by midnight. Send us photos of weather as it happens via Facebook or Twitter. Or email those photo files to contact@fingerlakes1.com. Salt Point, Cayuga Lake. Photo by Deanna Stickler Laurentz. Seneca Falls. Photo by Kathy Leslie. As the storms approached in Geneva. Photo by Holly Weaver. Photo by Dagmar Nearpass just north of Seneca Falls. Skaneateles Falls. By Jenn Sherman. 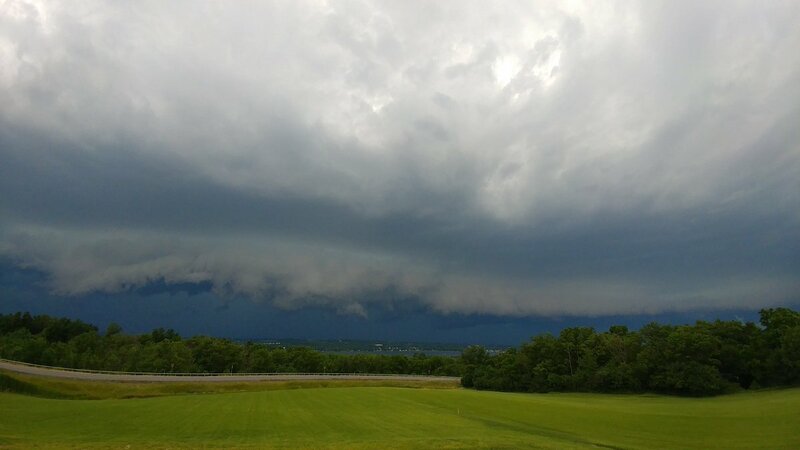 Kelly Biery snapped this photo along the northern tip of Seneca Lake around 6:45 pm in Geneva. This photo by Jennifer Hedge was captured in Seneca Falls. Photo by Kristy Mcnicholas as storm approached. 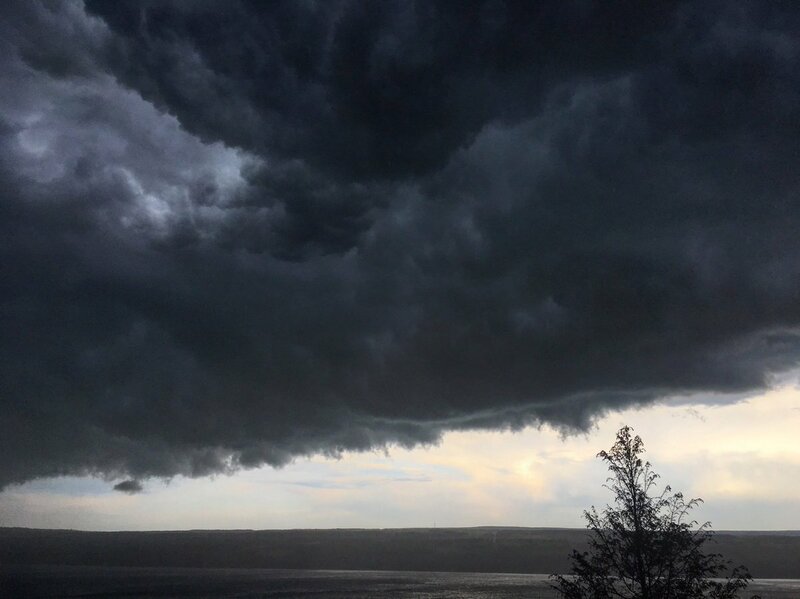 Angry skies over Seneca Lake by Carter J. Humphreys. Looking over Canandaigua Lake by Marlese Thompson. 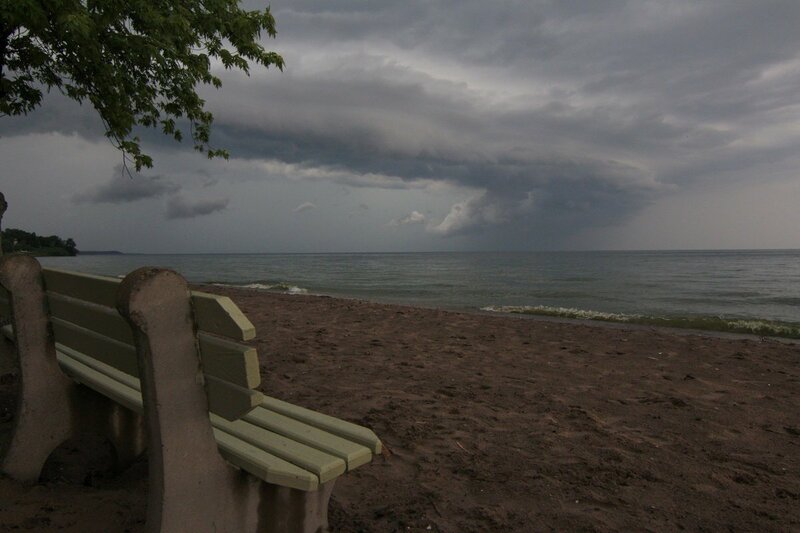 Storms passing Sodus. Photo by Joe Altieri. Photo by Drew Montreuil from Scipio Center. 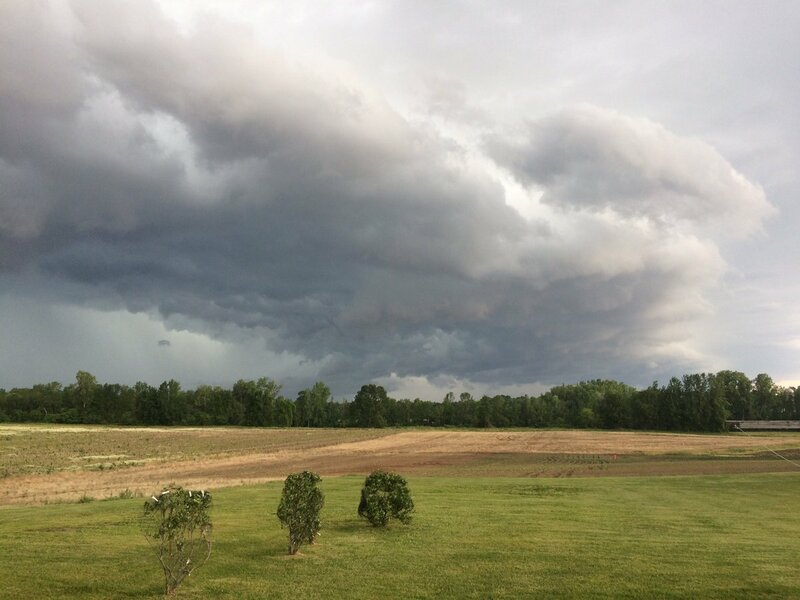 Storms passing through Phelps by Chris Maney.